GME developed the 6" Series trench box for the cost conscious contractor who is hunting for that special mix between better-than-average depth capacity and moderate costs. Many contractors frequently work in depths that the smaller trench shields cannot handle. GME recognized this problem and designed the 6" wall shield to meet this special need. 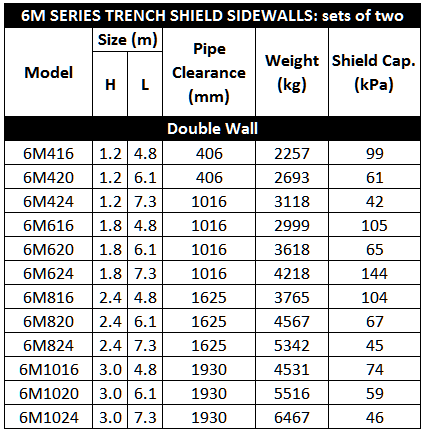 If you want good depth capacity, moderate weight, and reduced excavation costs at a reasonable price - then investigate the 6" Series trench shields.